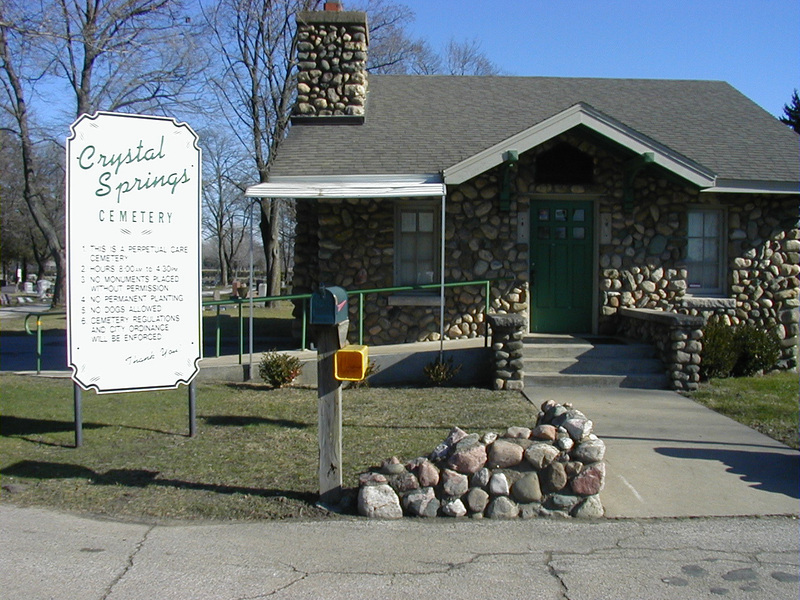 Crystal Springs Cemetery is a very large cemetery with what appears to be much room for expansion. Known as one of the most beautiful cemeteries in the county with many large monuments honoring those that have gone before. Especially noticeable is the number of veteran’s memorials and sections reserved for those that answered the calling when their country was in need since the time of the civil war. This entrance is no longer in use and is locked. A monument to the five St. Joseph firefighters that perished is on the bluff in downtown St. Joseph near the Whitcomb Tower and the Band Shell. An article in the Herald Press dated Sunday, November 17, 1934 stated that the memorial would be officially dedicated the following day to this fallen hero. James Schairer was the first local individual that was killed in action in World War I. He died of wounds received at the Battle of the Argonne in Belgium on October 30, 1918. His death followed shortly after he received the Croix de Geurre from the French government in appreciation for his devotion to duty in the face of death. During the Meuse-Argonne offensive September 26th through October 1st, he had rescued two wounded men from the front lines and carried them to the safety of a dugout. He then administered first aid all under enemy fire. After his death his father was given his Distinguished Service Cross that would have been given to him. James Schairer was buried with military honors Denterghen, West Flanders. The brothers and sisters of this fallen hero donated the plaque in Crystal Springs below the artillery piece. The BCGS is in the process of indexing and verifying the burials in this cemetery. With over 25,000 interments, this is a long-term project and the results will be posted when available.